Kairos is a business initiative founded in 1999 by a small group of partners led by Paolo Basilico, and united in their common vision of creating excellence outside the box of big industry thinking. Kairos is a business first and a financial company second, founded out of our passion for wealth management, as delicate a profession as it may be. Kairos is synonymous with success in the asset management sector. We are today exactly what we set out to become, and there is no greater satisfaction in professional life. Kairos is now an asset management and private banking leader. From the small, temporary office in via Conservatorio, Milan to a player on the world’s main financial markets, Kairos is the result of an opportunity and a bright idea: create an alternative to big asset management industry players by rethinking investment strategies and the business model. The Kairos Group initially specialized in hedge funds, which are more flexible investments than traditional mutual funds. In 1999, it launched its first long-short single-manager fund. It was managed by Kairos Investment Management Limited based in London, considered a vital hub for global financial information. In the same year, Kairos Partners SGR was established in Italy and received the Bank of Italy’s authorization to perform asset management activities. It began operating in 2000 with the launch of two open-ended investment funds. When Italy passed legislation opening the market to hedge funds, Kairos decided to put its expertise in the hedge fund business to use in Italy as well, launching the country’s first hedge fund of funds. The brand began making a name for itself in the industry for the performance of its managed funds, its revolutionary approach to new products, its independence and the way in which it aligned its interests with those of its clients. 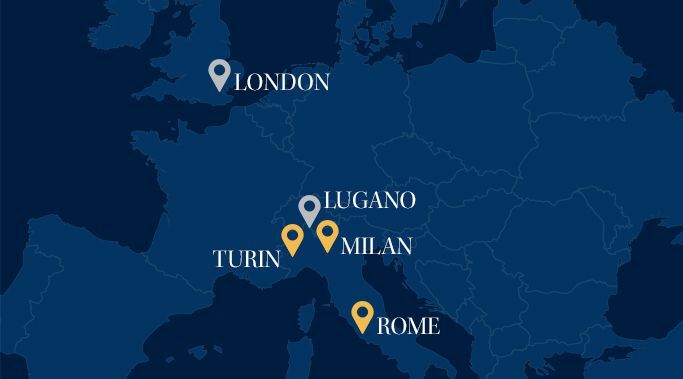 Over the years, Kairos grew both in terms of AUM and staff, reaching € 7 billion in 2007, with over 100 resources in London, Milan, Rome, Lugano and Turin. The crisis that took markets by surprise in 2008 led to a substantial contraction in assets under management for Kairos, which, rather than focusing on cutting costs, chose to respond with more dynamism on the market, recruiting additional professionals with proven ability and experience. The Group reworked its strategy to meet the new needs of its clients and investors in general. It expanded its offer, reducing the percentage of hedge funds in its product portfolio and gradually including UCITS funds, without forgoing its absolute return investment approach. By the end of 2011, the Group had a new strategic structure, a more balanced and well-diversified product portfolio that included compliant UCITS funds, a new Italian Wholesale distribution division mainly targeting retail clients and a stronger brand. In 2012, Kairos began an important strategic partnership with the Julius Baer Group to forge a long-term alliance in investment advisory and portfolio management services for HNW clients. Kairos acquired 100% of Julius Baer SIM, while the Swiss group picked up a 19.9% interest in Kairos Investment Management SpA. Julius Baer is the ideal partner for Kairos, as it shares the same business culture, focused on wealth management and client relationships and because it believes in the potential of Italy. In 2014, the Group began to diversify its product portfolio further by expanding its offer for institutional clients, with the creation of the Global Institutional division, and became the management company of Kairos International Sicav. In April 2016, Julius Baer Group Ltd increased its stake in Kairos Investment Management SpA from 19.9% to 80%, then to 100% in January 2018. In the meantime, Kairos Julius Baer SIM merged into Kairos Partners SGR in 2017, streamlining the Group’s organizational structure. In yet another demonstration of its faith in the strength of our brand, Julius Baer chose not to replace the managers who, since 1999, have led Kairos to success. Over the past five years, the Group has significantly expanded its expertise on international markets, extending the reach of its operations in investments and advisory and wealth management services, boosting profitability and increasing AUM to over €10 billion. Making the most of clients’ assets, with a focus on continuity and capital protection. Kairos focuses on achieving positive absolute returns regardless of market conditions, through an active and dynamic, no-benchmark approach and careful risk management. Kairos believes in its investment boutique model, which focuses its experience on well-defined management areas organized into a select range of products. Focusing on what it knows best is the key to its success. Forging authentic, transparent and long-lasting relationships with clients and partners. Kairos makes the personalization of services and investment proposals its top priority, because listening and trust are the only foundation for strong returns. Always looking ahead without ever forgetting who we are. When a relationship is based on reliability and confidentiality, ethics comes naturally. Kairos believes in the value of people, because a management company is only as strong as its resources and their skills are what make the difference in results. Kairos pursues an “understated” financial model for the management of its clients’ wealth in the long term. Kairos strives to perfectly align management’s interests with those of its clients. Its managers are the first to invest in the solutions that they propose to clients. Expertise alone is not enough. To maintain our clients’ trust, we need people who practice this profession with a deep sense of responsibility. Knowing how to respond to market changes and meet clients’ needs in the long term are the sine qua non of our business. With offices in Milan, Rome and Turin, this is an asset management (mutual funds and SICAVs) and private banking company. Based in London, this company is specialized in alternative and multi-manager funds, registered in England (company number 3594381), with its registered address at 10 Portman Square, London W1H 6AZ and it is authorized and regulated by the Financial Conduct Authority reference 189436. This company operates in Lugano with an exclusive focus on asset management. Based in Milan, this company manages and coordinates the Kairos Group companies. Over the years, Kairos has received a number of prestigious international awards which have helped make it one of the world’s top managers. It has received many of these awards repeatedly over time, demonstrating continuous excellence that few can match. The event, organized and promoted by Blue Financial Communication, an italian publishing house specializing in financial information, rewards the main players in Italian asset management and alternative investments industry. A jury of experts has defined, through a series of periodic meetings, the best actors of the current year. The UCITS Hedge Awards are sponsored by the Hedgefund Journal and are given to companies that stand apart for the excellent services they offer the hedge fund industry. Visit www.thehedgefundjournal.com Kairos International Sicav KEY awarded in the category Long/Short Equity (Discretionary) – Regulated Utilities Specialist Best Performing Fund over 2, 3 and 4 Year Periods. Kairos International Sicav ITALIA awarded in the category Long/Short Equity Italy – Discretionary Best Performing Fund over 2 and 4 Year Periods. Kairos International Sicav PEGASUS UCITS awarded in the category Long/Short Equity (Discretionary) – Europe Best Performing Fund in 2017. Premio Alto Rendimento is an award sponsored by Il Sole 24 Ore to the Asset Management Company and the Mutual Funds who have stand out for their achievements and for their commitment and expertise in taking care of investments, inspired by the fundamental value of the protection of savers. The allocation of awards is based on solid analysis criteria, which consider the development of capital over a time of three years and are based on valuations provided by CFS Rating. For the awards to the best hedge funds in the categories "MultiManager" and "Single Manager" It has been taken into account only the Italian Hedge Funds, not in liquidation, with at least 36 months of statistical measurement (the period November 2012 - November 2015) , awarding the funds in their respective categories have scored top of the standings. Extel, established in 1974, measures the performance of the investment community through votes by its customers or audiences. The results are used by investment professionals across Europe to inform buying decisions and service provision. The awards are highly coveted and are considered by brokerage firms to be a powerful endorsement of their success. Visit www.extel-survey.com. The European Fund of Hedge Funds Awards are given to the top hedge funds in Europe on the basis of quantitative and qualitative analysis methodologies. Winners are evaluated in terms of their performance, Sharpe ratio and standard deviation in their category. Visit: www.hedgefundsreviewawards.com. Award criteria: Premio Alto Rendimento is an award sponsored by Il Sole 24 Ore to the Asset Management Company and the Mutual Funds who have stand out for their achievements and for their commitment and expertise in taking care of investments, inspired by the fundamental value of the protection of savers. The allocation of awards is based on solid analysis criteria, which consider the development of capital over a time of three years and are based on valuations provided by CFS Rating. For the awards to the best hedge funds in the categories "MultiManager" and "Single Manager" It has been taken into account only the Italian Hedge Funds, not in liquidation, with at least 36 months of statistical measurement (the period 2013 - 2016) , awarding the funds in their respective categories have scored top of the standings. Extel, established in 1974, measures the performance of the investment community through votes by its customers or audiences. The results are used by investment professionals across Europe to inform buying decisions and service provision. The awards are highly coveted and are considered by brokerage firms to be a powerful endorsement of their success. Visit www.extelsurveys.com. HFM InvestHedge Awards recognise those multi-manager funds that have achieved the strongest risk-adjusted returns in their peer groups over one and five-year timeframes, as well as longer term 10 and 20-year awards, to the end of June 2017. Award criteria: Euromoney, a magazine covering various financial fields, put Kairos at the top of its private banking ranking in the Private Banking and Wealth Management Survey. This survey is conducted each year to provide a quantitative and qualitative review of the best services in private banking, by region and by areas of service. It is an informative guide for high net-worth individuals on the range of professional wealth management service providers that are available. For the survey, participating private banks and wealth managers fill out a questionnaire in which they are asked to identify the best service providers. Asset management, profitability and services offered, among others, are considered. The European Fund of Hedge Funds Awards are given to the top hedge funds in Europe on the basis of quantitative and qualitative analysis methodologies. Winners are evaluated in terms of their performance, Sharpe ratio and standard deviation in their category. Visit www.hedgefundsreviewawards.com for additional details. Fabio Bariletti receives The career award for his outstanding contribution to the alternative fund industry. The annual HFM European Hedge Fund Performance Awards are an event of recognition and reward for those hedge funds and fund of hedge funds that have outperformed their peers over the past 12 months. After graduating from Bocconi University in Milan in 1984, Paolo Basilico began his career with the IMI Group, initially as a financial analyst and then as a sales manager. A few years later, he moved to Mediobanca’s equity brokerage division. 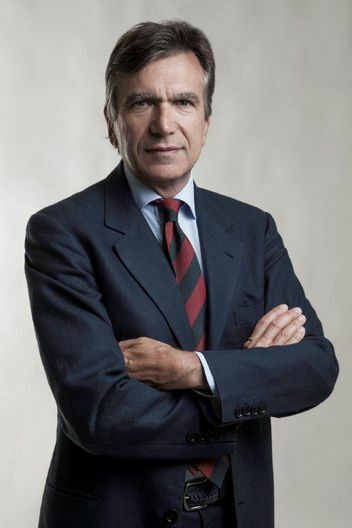 Basilico joined Giubergia Warburg in 1991 where he served as CEO from 1992 to 1998 and was made a member of Warburg London’s European Equity Management Committee. In 1999, he co-founded the Kairos Group, a major Italian asset management company, and was Chairman and CEO until April 2019. He was a member of the Executive Committee of Assogestioni from 2009 to early 2013. Since 2005 he has been the Chairman of Oliver Twist Foundation, a non-profit organisation dedicated to disadvantaged children in Italy. 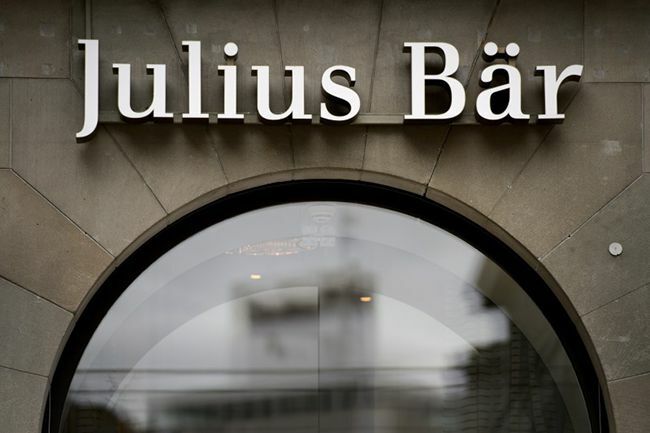 The Julius Baer Group is one of the top private banking groups in Switzerland. Its shares are listed on the SIX Swiss Exchange and included in the Swiss Market Index (SMI) of the 20 largest and most liquid Swiss companies. Since 1890, Julius Baer Group Ltd. has offered a wide range of solutions and services for private clients and family offices. Based in Zurich, it has strategic branches in Dubai, Frankfurt, Geneva, Hong Kong, London, Luxembourg, Milan, Monaco, Montevideo, Moscow, Mumbai, Singapore and Tokyo (www.juliusbaer.com). A Best in Class alumnus of Rome’s La Sapienza University, he joined the company from Citco Fund Advisors in New York, where he worked in the 90’s. At Citco he was responsible for the research and management activity of the multi-manager business, which counted around $1Bio of AUM and offices in New York, London and Hong Kong. Since 2000 he has been in charge of building the multi-manager business of Kairos and from 2009 to 2016 he was the General Manager of the Group. 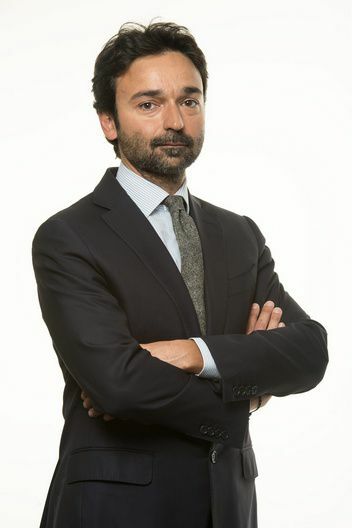 Fabio Bariletti is Chief Executive Officer of Kairos Investment Management Limited, the London branch of the Group, specialising in managing single-manager and multi-manager alternative funds. He is the Deputy-CEO of Kairos Investment Management Limited, the London branch of the Group, specialising in managing single-manager and multi-manager alternative funds and he is responsible for the Group International Distribution. 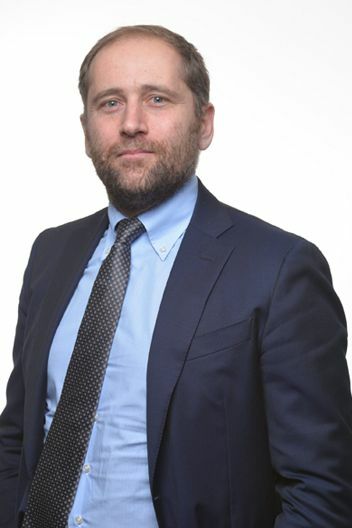 After obtaining a degree in Economics and Business from Rome’s La Sapienza University, he began his career in 1998 as analyst with Citco Fund Advisors in New York, a company managing multi-manager alternative funds and solutions. In 2000 he opened Citco London office as Head of Research for European Markets and in 2002 he returned to New York to head Citco Fund Advisors. He joined Kairos in early 2003 to open and manage the New York office of the Group, in 2006 he opened and ran the Kairos Hong Kong office and in 2008 he moved back to head the New York office. During this period he was part of the investment committee responsible for the multi-manager business. In 2012 he moved to Kairos London to run the branch of the Group and develop its Global distribution.